Here's a new release in the ALIA Classic Vest Multi collection. This vest is designed for a slim-fit and packed with extra design details. The sporty funnel collar, the front and back yokes, armholes and the welt pockets are all trimmed with a contrast colour. 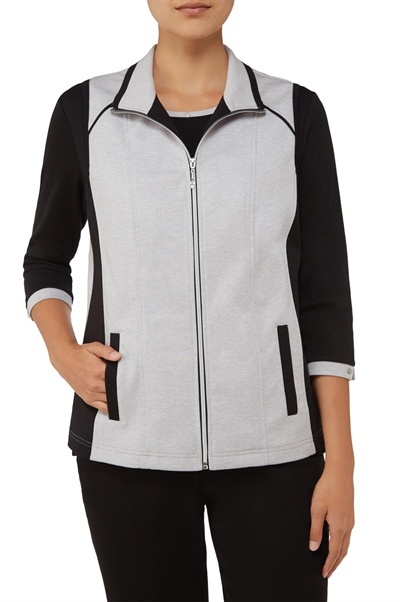 A silvery, white zipper closure runs down centre front for an amped up athleisure look. Layer yours over the matching top or over your favourite sweater. The vest is made of 70% Polyester, 26% Cotton and 4% Spandex.